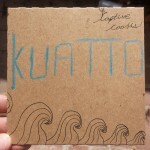 The blues-fusion five-piece known as Captive Cooks released their debut EP, Kuatto, on May 1st at Last Exit Live. I must say, for a four-track EP, Kuatto packs some serious punch. Maybe that has something to do with half the songs clocking in at over seven minutes. There are some seriously dynamic offerings contained on Kuatto beginning with the opening track “Unsaid”. Captive Cooks is the combined musical force of a talented group of players that cite influences as wide-ranging as Pavement, Wu-Tang Clan, The Pixies, and even Dave Matthews Band so how they managed to achieve such a fluid sound is a little astonishing. Give the bluesy-rock of Kuatto by Captive Cooks a listen here. The band that performs under the assumed persona of Cillie Barnes lists “gyphop” as their genre. What that seems to translate to is groove-heavy, spaced-out tracks set to a smooth beat. 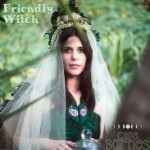 The L.A.-based band released Friendly Witch, a three-track single, in April. With songs like “Earthquake Season at the Crystal Convention”, I suspect a tongue in someone’s cheek which only adds to the experience of Cillie Barnes. 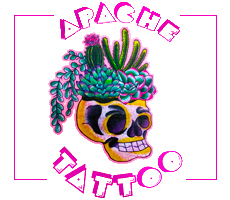 Total authenticity, in this particular case, might be a little too much for the New Age-styled Cillie. Give Cillie Barnes a listen here. Flagstaff’s Dragons released their full-length follow up to 2013’s Musical Witchcraft just this past May. And, I’m happy to report, Peace on Earth has more of the danceable lofi pop that helped define the band on prior projects. 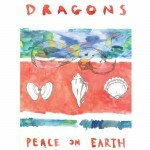 Dragons maintains a delicate emotional balance of equal parts sentimentality and discontent that echoes through their music, instrumentally and lyrically. Listen to Peace on Earth here and buy your own copy. Dragons is about to head out on tour this summer. I’m sure they could use some listener support to offset the cost of gasoline in this modern world. 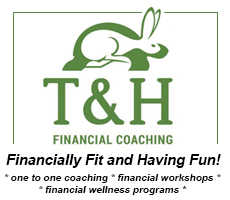 For more information on Dragons’ August tour dates, check here. The bedroom electronica of Youceff Kabal, who previously released music under the moniker “Yus”, captured our attention early and we’ve been following him ever since. Kabal released his latest collection since 2014’s Talisman (released as YUS) and fans will find the same seamless merging of sound amid the dissolving traditional song structure for something that is both enlivening and totally fresh. EL Yunque is an album to get lost wandering through before emerging at its conclusion with renewed energy. 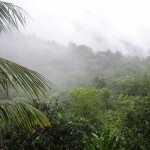 Listen to El Yunque here. The acoustic duo known as The Sweet Nothings offer listeners four intimate tracks of love and lost on their self-titled debut EP. At the center of The Sweet Nothings is the vocal partnership between Brian Chapman and Lauren Rae Baumgartner which emerges half the time like a conversation between lovers and like the inner dialogue of a love-addled brain the other half of the time. I, for one, am interested to see how this musical pairing develops in the years to come and in subsequent releases. The Sweet Nothings already have the raw talent and passionate presence of a memorable act. 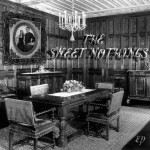 With a little more cultivation of their songwriting skills, The Sweet Nothings could be some serious contenders. Keep your eye (or ears) on this act. Give The Sweet Nothings a listen here.